Is Your Home Due for an Electrical Upgrade? The electrical service panel in your home makes it possible to control all of your home’s electrical components from one place and divides all of the electrical power in the home into multiple circuits. If you live in an older home, you may benefit from upgrading your electrical panel. This is incredibly important from a safety standpoint, as old or outdated circuit breakers may not trip and turn off as they are supposed to, or they can become overloaded and put you at risk for an electrical fire. Your home is more than 20 years old. As we mentioned, the older your home is, the more likely you are to need an electrical panel upgrade. But, exactly how old does your home need to be to start considering an electrical upgrade? If your home is more than 30 years old, there’s a good possibility that your panel tops out at only 100 amps. In this day and age, our lifestyles require 200-amp panels, which is why newer homes are equipped with them. Upgrading your electrical panel makes your home more able to power smart refrigerators, high-speed computers, high-definition televisions and other appliances. Your electrical panel trips all the time. When your electrical panel trips, it is a safety measure that cuts off the power to a particular circuit that is overloaded. This prevents overheating and electrical fires. Although tripping is normal, if your electrical panel is tripping all the time, it likely means that you need more power than your current system can provide and that you’ll need an upgrade. You have a fuse box. While it’s true that circuit breakers and fuses perform the same general function — which is to short circuit or disrupt overloaded electrical currents — it doesn’t mean that they provide the equal amount of protection against electrical hazards in your home. Fuses can only be used once; when a current is running at a level that’s too high, the fuse will interrupt the electrical flow by melting. With a circuit breaker, you simply have to reset the circuit. Fuses can pose an electrical fire hazard, and you may have trouble acquiring insurance for your home if you don’t get them upgraded. You rely too heavily on power strips and extension cords. Extension cords and power strips are incredibly useful when you temporarily need additional outlets, but they aren’t a permanent solution. 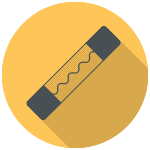 In fact, long-term use of power strips and extension cords is actually a fire risk.  If you find that you are relying on extension cords and power strips all the time, it might be time to consider upgrading your electrical panel. Your electrical panel feels warm. Do you notice that your electrical panel feels warm to the touch? If so, this could indicate that your electrical panel is defective, it was properly installed or it is overloaded — all of which indicate the need for an electrical upgrade. Your appliances aren’t running at full capacity. If your appliances are only running at half capacity, it could be the result of overloaded circuits, a faulty electrical panel or an outdated electrical panel. Regardless of what’s causing your appliances not to run at full capacity, it can be corrected by upgrading your electrical panel. Your electrical panel has a burning smell. If your electrical panel is giving off an odor that smells burnt, it could mean that either the wire isn’t connected properly or that there is a circuit breaker that has gone bad. Regardless of whether the burning smell indicates an improperly connected wire or a bad circuit breaker, it puts you at risk for an electrical fire and should be addressed by a professional right away. Your lights flicker or dim all the time. Lights that frequently dim or flicker, particularly when appliances are turned on, could be a sign that a connection in your electrical panel has come loose or failure in another part of your electrical system. You’re planning to add an addition to your home or upgrade your appliances. If you are getting ready to have an addition added to your home or you’re planning to upgrade to newer appliances, it means that your power needs are about to increase, and that you’ll need an electrical panel upgrade so that it can safely meet your new power requirements. Turn to ElectricMasters for Your Breaker Box Upgrade! Tired of replacing blown fuses? Is there rust present on your fuse or breaker box? Is your breaker box safe? Is your breaker box outdated? Do your lights dim when the air conditioner or other heavy-load appliances turn on? If you answered yes to any of these questions, we can help! ElectricMasters installs copper component load centers (i.e. breaker boxes) that come with a six-year parts and labor warranty and a lifetime manufacturer’s warranty on the load center and breakers. We will evaluate your current electrical system to help us determine if only a new load center is required or if the entire electrical system needs to be upgraded. We will obtain the proper electrical permit and inspections. We will interface with your utility company (usually Duke Energy). We will upgrade the grounding system to the current electrical code. This ensures safety. We will install a new, high-quality, copper-component load center. 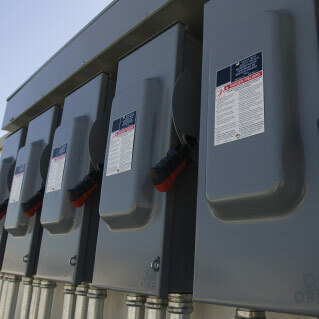 We will install all of the new breakers so that each circuit in your home is connected to its own breaker. If needed, we will replace the meter, as well as move the meter to the exterior of your home. If needed, we will replace the exterior service wiring and overhead attachment to the electrical utility service drop. Whether you live in an older home, you find yourself using power strips on a regular basis or your circuit breakers are constantly tripping, don’t wait to get your home’s electrical system upgraded. There are just too many risks associated with old, damaged and outdated electrical systems to wait to get the electrical service you need. Instead, reduce the risk of an electrical fire and other electrical emergencies by working with our experienced electricians to get your system updated. We’ll evaluate the safety of your electrical wiring system and take the appropriate steps to get your system up to speed. Contact us today at 851-291-6999 and schedule your complete home consultation. We will make sure you are 100 percent satisfied before you pay!